Are you looking for a highly efficient and secure online faxing solution at a low price? Look no further because internet faxing provides all that and more for you to be able to send and receive faxes within minutes. Today’s technology brings us many options to take our business to the next level, such as cloud storage, VoIP and of course electronic mail. Almost everyone you meet these days has an email, the internet has changed the way business can communicate. The options available for faxing has also expanded. You could go out and buy a fax machine, add an extra phone line and pay hefty fax per page fees from your phone company, or you could skip this hassle and send and receive fax on Gmail which requires only your computer and internet connection. Get a Gmail Account – You probably already have an account but just in case you can get an account here. 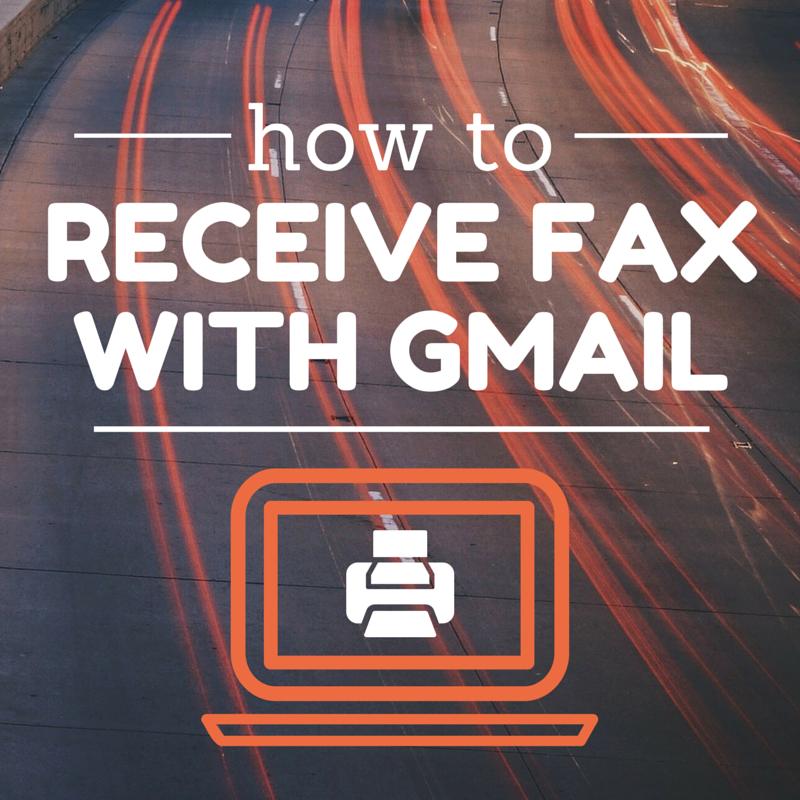 It’s also suggested that you use a different Gmail address for your faxes since many have found that creating a separate account helps maintain organization of sent and received faxes and separate for your personal email account. Get an Email Fax Service – This will provide the connection for you to be able to fax by email and also create an online fax number, which will allows you to receive Gmail fax. Your virtual number is active automatically and be ready to convert any incoming faxes into digital format to then be delivered to your Gmail inbox in seconds. The entire process is automatic and you don’t have to configure anything. These services do have a price but they are the most reliable solution to transform your Gmail into a virtual fax machine. Services such as RingCentral and eFax offer a free trial account without having to commit to any contracts so you can explore their service for an entire month. Log-in to your online dashboard, there will usually be a link to your online dashboard in your welcome email. Once you are logged in you can go to the SETTINGS area and then look for section to edit your Incoming Faxes or Notifications. With RingCentral you can edit this under Notifications. 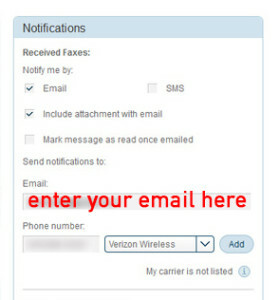 There is an option to receive faxes either through an email notification or as an attachment to your email. You can also opt to receive a text message to your mobile phone when you having an incoming fax. These variety of options makes it easy to receive and check your faxes directly in your Gmail account. It’s important to clarify that you don’t have to make any configurations within Google. The integration comes from using an email fax service and they’ll take care of the entire set up. You don’t have to sign up immediately. It’s normal to be curious about how the service functions, which is why there are free trials that you can take advantage of. These trials are safe, secure and you can cancel at anytime. In order to receive faxes, even with a fax machine, you need a fax number. If you already have one and want to keep the same number, you can contact the email fax provider and have them propagate your number to their service. Your number stays the same and you’ll be able to enjoy receiving faxes online. If you don’t have a number then you can also opt to get a free one, most services offer either a local or toll-free number, but you can also get a vanity number for an additional one time fee. Once your number is set up you can receive faxes. You will still be able to receive faxes from other fax machines, the only difference is that your incoming documents will be sent to your inbox. When someone sends you a fax the online fax service automatically transforms it into a digital format and then send you an email with the faxed document as an attachment, usually in PDF format.